The internet and social media has opened up opportunities for the small and medium sized business that were unheard of in previous times. By harnessing the power of search engine optimization (SEO), internet lead generation, 2.0 media, as well as the myriad of free or low cost places to advertise online, a business can drive high quality visits to their website and compete with the big boys of the business world. Search engine optimization (SEO) has been bounced around for quite a while now, but in a lot of respects it is still a misunderstood concept. Many companies sprung up offering such services, and even now a small- to mid-sized company gets a few cold calls a week offering to improve their rankings on Google. While this is SEO in its classic sense, it’s not the entire story. An organic search occurs when the results are relevant to the search term, keywords, or phrase instead of a pay-per-click type of advertisement. Getting these types of rankings is both a drawn out and sometimes difficult task. A lot depends on the keywords and phrases used. If there are a lot of businesses offering the same kind of product or service, they are going to have the same or similar keywords. 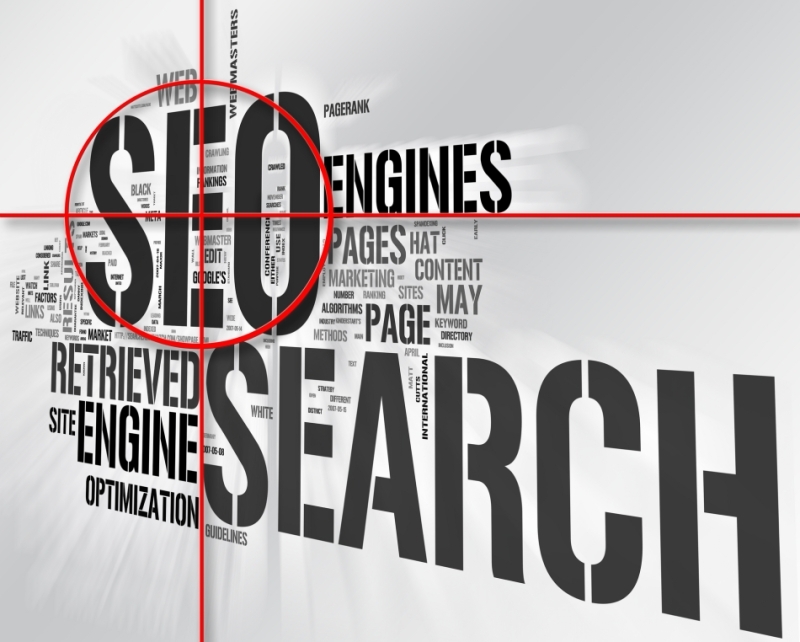 But getting high rankings on organic search results is the way to get the most cost effective SEO. One overlooked aspect of high SEO and organic search results are long tail keywords. Instead of one or two keywords, a long tail keyword is several words that are relevant to your product or service that are strung together in a logical string. But what almost all business owners, and even most supposed SEO companies, don’t realize is that most searches done are using long string keywords. In fact, 90 percent are using a three or more word phrase, yet such types of key phrases are either ignored or underutilized. If your aim is to drive high quality visits to your website that are likely to convert into customers, any SEO campaign needs to be built around such long string keywords and phrases. There is a reason that roughly 90% of search engine entries are done using these types of keywords; the potential customer is typically looking to buy a specific item. As an example, they aren’t looking for “car windshields” or even “Nissan windshield,” they want a “windshield for a Nissan Sentra.” In order to make sales, you need buyers coming to your website, not “lookers.” Using long string phrases helps to capture the buyer when they are seeking specifically what you are offering. One of the greatest lead generation tools for the small- to medium-sized business to come along is the social media site. Never before has there been such a powerful tool that anyone can take advantage of with a minimum amount of knowledge. The ability to reach millions of people with no out of pocket expense has never been greater, but you have to go about it the right way. First off, there are anywhere from 20 to 25 different social media sites that are big enough to make having an account and promoting yourself worthwhile. Facebook and Twitter are among the bigger names in the industry, but don’t discount those made more for business networking like LinkedIn. Choose the largest ones and set up an account, but make sure that the majority of your posts are related to the business and professional. Some personal posts here and there is fine, like from a family trip or attending a sporting event, as it shows that you are human and not some machine that is selling widgets. But avoid anything that might turn off a potential customer, like attending a political rally or even the gun range. As painful as it sounds, try to be “PC” and professional. Obviously start with people you know, as they will probably accept your requests and will of course want to brag to you about what’s going on in their lives. Once you start building that friends list, others will start showing up as mutual friends of friends. Invite them as well. When you get a business card or meet someone, send them friend requests, too. Build your friends list as large as you can without spamming or violating the terms of service. Every time you post something on your page, notifications are sent to all of your friends. Don’t make it sound like an advertisement, though. Going with our previous car glass shop example, let’s say you put in new glass on a 1955 Cadillac, or a fancy sports car, or anything that will catch people’s attention. Take some pictures and post them on your wall. Now you’ve promoted the business in a way that shows specifically what you do, but doesn’t come across as spam or a solicitation. Another good tactic to use is to find out which of your friends has a lot of other friends themselves, and post those pictures and captions on their wall as well. Reason being is that wall post will then go to all of their friends, even though you don’t know them! Yes, it takes time and can be tedious, but the potential for lead generation with no monetary cost is huge, especially if it’s multiplied by 20 sites. And it will drive high quality visits to your website since they know exactly what you offer, and they are interested in buying right now. Finally, as a small business, you have to take advantage of every resource available to even the playing field. Free classified ad sites like Craigslist can be a gold mine if handled correctly. Again, if someone goes to such a site and plugs in that they are looking for windshields, and then clicks the link to your website, these are potential BUYERS! Even if they are just price shopping, once you get them to your website, you have a chance to sell them on same day service, or lifetime guarantee. In any instance, it doesn’t cost anything other than the time to put up the ad, and if they aren’t serious, they don’t waste your time either. Forums are a great way to promote a company for three reasons. First off, including a link in the signature of every post that is made builds the link relevancy, which in turn makes for higher search engine rankings. Secondly, so long as the posts made are relevant to the product or service you offer, and are kept fully professional, you can position yourself as an expert in your field. People are a lot more likely to buy from someone that knows what they are talking about and what they are doing. Lastly, it gets your name and the name of your company out there, and the more people that see it, the more it can drive high quality visits to your website. Just make sure that any forum you sign up with won’t terminate your account if you put your company website in the signature. Some consider this spam, so make sure going in that doing won’t be a problem. Next, make sure it bears at least some relevance to what the company does. Car forums in general will be fine for our glass shop, but not a forum for morticians. Lastly, keep all posts informative, professional, and don’t get into fights with other posters. If someone “flames” you, report them to the site administrator, and at the most, reply with something to the effect of “I know what I’m doing” without being nasty. In closing, there are plenty of tools that the small- to medium-sized business can use to promote themselves and their website without laying out a lot of money. By selecting long string key phrases in getting all web pages optimized to search engines, they are already ahead of the game. Social media and forums can be another great way to promote themselves as both an expert in their field, and drive high quality visits to the website. And lead generation through such avenues as free classifieds can bring buyers, not just mere lookers to your doorstep. For more information on search, SEO, and mobile websites please visit http://www.insequent.com. Many newspaper companies (and YPs etc) are transforming into digital agencies before our very eyes in order to make their sales forces relevant in the local markets they serve. It’s true they usually have the largest and most trusted sales forces and relationships within any of these local markets which is a huge asset. With demand for print on an inexorable decline they need to do something to replace those lost print dollars and most have figured out that is digital – websites, mobile sites, deals, coupons, SEO, SEM, Display, Rep Management, etc. (As John Paton from Digital First Media is fond of saying, “replace print dollars with digital dimes.” I think the dimes could be much bigger than the dollars someday and much higher margin). Help the local business drive customers to their mobile optimized websites and landing pages and generate more calls – that is the goal. You can no longer say placing an ad in xyz paper will get the job done and local business owners have figured it out. All they have to do to look for proof is pull out their own smart phone. So it should become an easier and easier sell as time goes on. Some of the larger newspaper groups are attempting to sell their digital agency services to other newspaper companies thereby expanding their reach beyond where their own dailies operate. Smart. Tread carefully however. The danger is that technology is an ever evolving beast so make sure you have a long term outlook out of the gate and make sure all your products work together (it should not be like Oz behind the curtain cranking levers! That could get real messy over time!) Rushing to market with something half-baked or strategically flawed is worse than waiting. And the local business owner is already weary from the 5 calls/day they get from xyz digital rep at the Acme daily deal company. Speed to market cuts both ways and first mover does not always win. Newspaper companies have a big asset in their local presence. That’s a great opportunity. How will they play it?